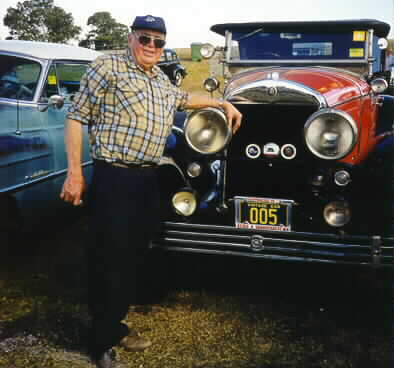 The late Ken Moss was a Cadillac owner and driver for 46 years after buying his first Cadillac in 1951. This claim alone may be unique in Australia. Ken had restored two early Cadillacs (1912 and 1927) and was well advanced on a third (1903) before there were any one-make car clubs in Australia to support such an interest. In the 1990s we take for granted the world of hobby-related services, products and networking, but in Australia in the 1950s and 60s, there were no swap meets, no old-car magazines, no restoration businesses, no importers of old cars or parts, sources of parts or information were obscure, and fellow hobbyists could discover each other only by attending annual rallies and shows.